A revision rhinoplasty, or secondary nose job, is a procedure that is performed in order to correct issues with a previous nose job or make more precise changes that the surgeon was unable to perform the first time. Regardless of the reason, board-certified plastic surgeon Dr. Michael Suzman is highly-skilled at performing revision rhinoplasty surgeries, with the ability to make both minor and larger adjustments to suit his patients' needs. A consultation at WESTMED Group's Westchester County, NY office can provide both the patient and surgeon with the information necessary to customize their treatment method for an optimal outcome. If a patient is unhappy with their current nose job results, then a revision rhinoplasty could offer the outcome they're searching for. Since revision surgery follows one or more previous nose surgeries, a patient needs to understand that this surgery is more complex and technical. In some cases, patients may have had multiple prior nose surgeries, which significantly alters the nose. Before any nasal surgery, the nose naturally consists of various layers of tissue planes that are dissected during nasal surgery. Going into a revision surgery, these planes may be completely gone, which the surgeon will have to address. In some cases, a graft will need to be used to replenish the structure. Also, depending on the state of the nose, the surgeon will need to choose between open or closed rhinoplasty. With open rhinoplasty, a small incision will be made on the underside of the nose between the nostrils to allow the surgeon better access to various parts of the nose. The technique is used for more complicated surgeries and is used most often with revision surgery. Closed rhinoplasty involves incisions that are made inside of the nostrils and are reserved for less complicated surgeries. Depending on the complexity, revision surgery can take about 1 hour to complete. Similar to primary nasal surgery, a patient can expect pain, discomfort, bruising, and swelling following surgery. There will be multiple follow-up appointments to check the progress of the nose. Results from revision surgery can vary greatly due to a number of factors, such as how complicated the surgery was and the previous condition of the nose. 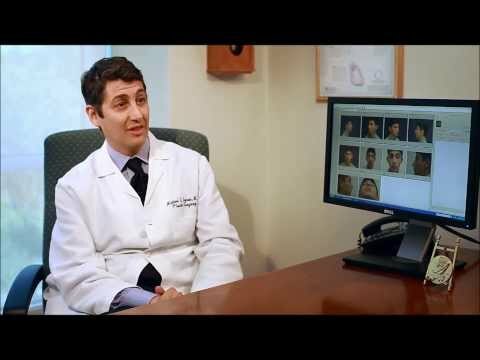 Most patients should be able to notice a marked improvement in their nose after a few months. There are many aspects to consider when choosing to have revision surgery. Therefore, it’s critical to have a thorough consultation with a highly skilled plastic surgeon to have all of your questions answered and to express your concerns. We allow you to meet with the surgeon as long as needed to make an informed choice. Please contact our office today to schedule a consultation.